As you may have already noticed, the Nintendo Switch controllers kind of resembles a derpy-looking dog face. 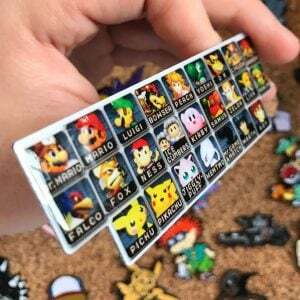 This perfectly sized, high quality sticker will make the ideal addition to your new Nintendo console Joy-Con controller. Embark on epic adventures this coming year with the worlds most famous plumber! The Super Mario Bros calendar uses vintage art from the original game that’ll give nostalgic Mario fans a great start to the new year.